Just released 1.5.5 fixing the crash on start! 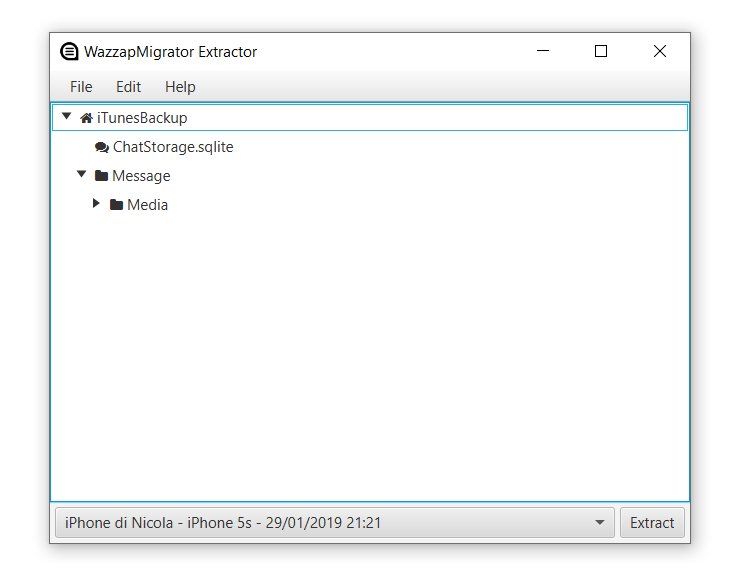 WazzapMigrator Extractor has been designed to make extraction from iTunes backup a one-click process, totally free and easy to perform. It will automatically extract the files required for the migration, both ChatStorage.sqlite and all your medias. 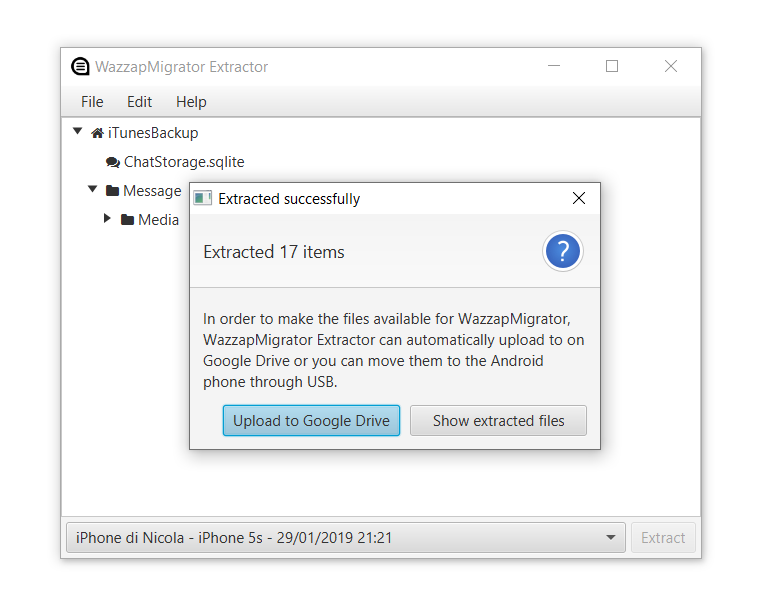 After extraction you just need to move everything to the Download folder of your Android phone and run WazzapMigrator. If you want to go wire-free, you can let it upload automatically on Google Drive.